A Republican legislative candidate in northern Idaho says he is no longer running for a Senate seat after facing pressure from other GOP officials to pull out of the race. John Freeland announced Tuesday he would no longer pursue challenging incumbent Sen. Dan Schmidt, a Democrat from Moscow, in the upcoming November election. He declined to comment further when contacted by The Associated Press. Freeland accused three Latah County GOP officials of working to get Democratic candidates elected rather than Republicans in a Facebook post on Monday. Freeland says he was asked to withdraw from the race during the Idaho Republican convention over the weekend. Latah County GOP Chairman Thomas Lawford denies demanding Freeland's resignation during the convention, but said he thought Freeland stepping down was the right choice. Faith, freedom, family and firearms will be the uniting theme this week as hundreds of GOP delegates travel to Nampa to discuss party platforms and elect Republican leaders. The three-day convention starts on Thursday, just a few weeks after the May primary. Republicans are hoping for a smoother turnout than the chaotic 2014 convention, which failed to get anything done because of political infighting. 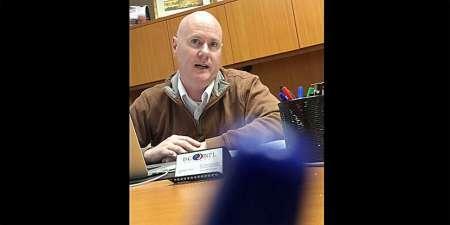 A Republican central committeeman covertly filmed the head of Idaho's GOP in an effort to bolster his claims that a secret society had been formed to oust certain members from party positions. The video didn't reveal direct evidence of a secret society, but did show the top GOP official criticizing prominent Republicans. The Post Register reports that Bonneville GOP Chairman Doyle Beck released footage of party Chairman Steve Yates on Thursday.